This Tengu sword is a replica of the sword used in Kai's ultimate battle scene featuring a hand-forged 1045 high carbon steel blade. 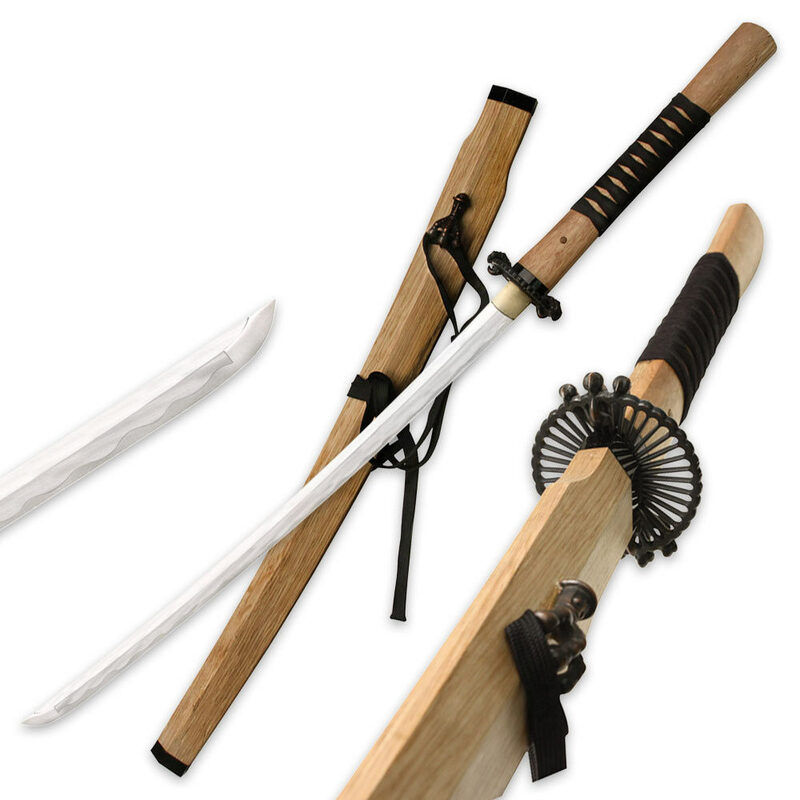 It's a limited edition design complete with a certificate of authenticity and matching hardwood scabbard. Cord handle wrappings, a cast dragon claw tsuba and coordinating accents complete the design of this truly collectible 47 Ronin replica. 27" blade; 43-3/4" overall.